Q. Hello Rabbi, I’m an African American male, 47, and I been diagnosed with prostate cancer. My Gleason score is 6 and my last PSA (prostate-specific antigen) score was a 5 back in June. Would I be a good patient for surgery since I’m much younger than lots of men with prostate cancer? - G.H. • You are among Boomers (ages 45-64) who constitute 1/3 of all newly diagnosed prostate cancer patients each year. • Your PSA score is just about double the PSA score of 2.5 ng/dl (nanograms of prostate protein per deciliter of blood), that’s regarded as the norm for men your age. • The incidence of prostate cancer is 50% greater among African-Americans than among Caucasians. Put another way, while one of six American men will get prostate cancer in his lifetime, the figure is closer to one of four among African Americans. * Although it’s been determined that you have a malignancy, before determining if surgery is best, your cancer must also be staged, that is, your doctor has to determine how extensive your cancer might be. More than your “race,” it’s your age and overall health that is the most decisive factor in determining if surgery is right for you. Being relatively young and vigorous is one thing, but you need to find out if you might have a serious heart or other health condition, to see if surgery is counter-indicated. You can verify this only after a doctor takes your full medical history. One thing is for sure, though: Most clinicians who treat younger men for prostate cancer would not advise their patients to go the route of active surveillance. This refers to a wait-and-see approach involving monitoring and repeated PSA screening over time, to determine if a more aggressive treatment is advisable. Naturally because prostate cancer is so slow-growing, you could hold off on surgery or some other approach for another decade while submitting for now only to ongoing active surveillance. An acquaintance of mine did that to avoid treatment side effects and keep his lifestyle intact. Then, at age 60, he sought out a more active treatment. In addition, if you’re lucky, you could hold off from surgery or other treatments for now, on the assumption that scientists might come up with better diagnostic and treatment tools by the year 2020. After all, with scientific progress 2020 may well be a year of improved sight and insight for us all! 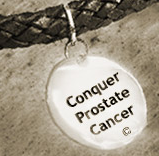 You have helped us greatly in choosing the type of treatment for prostate cancer. This is a very informative post.Keep up the good work!